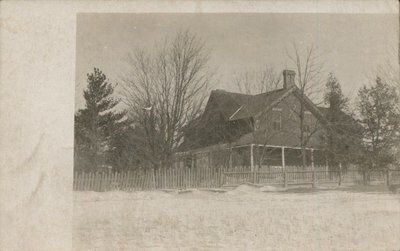 A postcard depicting a farm house, presumably in Richmond Hill area. "Dear Ed, Am started work and like it alright suppose you know this place. What do you call they boys? Hoping you and yours are all well. I remain yours truly. from(?) Jordan Harbor, Ont."